Determined to explore Cebu as much as we can, we decided to do another road trip, not unlike our Cebu Day Tour. We had a brief dilemma, however. Our car was not really up for the trip as elevated areas can consume its gasoline twice as much. This issue was something we had before and it only took us up to Sirao Garden. Hence, we decided another alternative like maybe renting another car for this particular adventure. 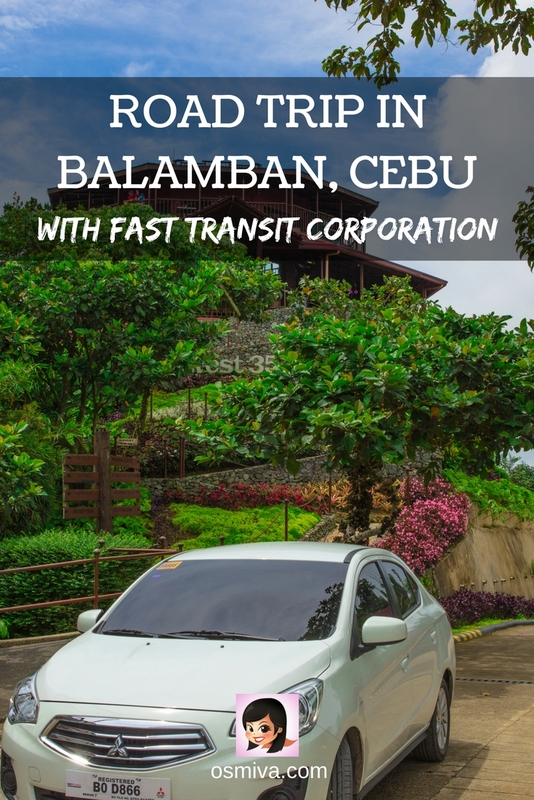 To make our road trip less hassle and carefree, we decided to try out one of Cebu’s biggest car rentals to date: Fast Transit Corporation (FTC). FTC has been in the car rental industry for several years now. Most of their clients are hotels and other corporate accounts. Aside from these, FTC also caters to those wanting to explore Cebu and Davao. 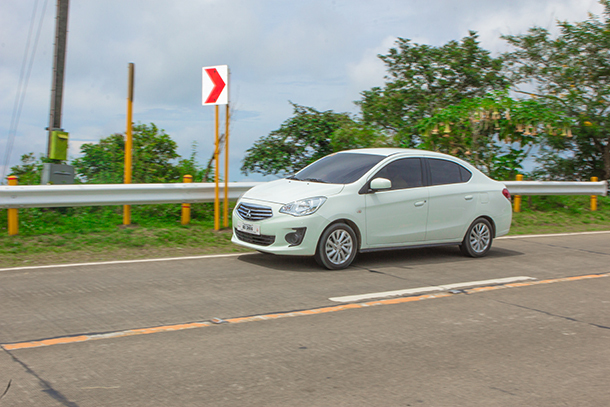 Fast Transit Corporation has offices in Davao and Cebu with over 40 vehicles and approximately 6 types of units to choose from including but not limited to Hyundai Starex, Hyundai Accent, Mitsubishi Mirage and Mitsubishi Adventure. One good thing about FTC is that you can choose between self-drive or with a driver AND you can select from any of the available cars. 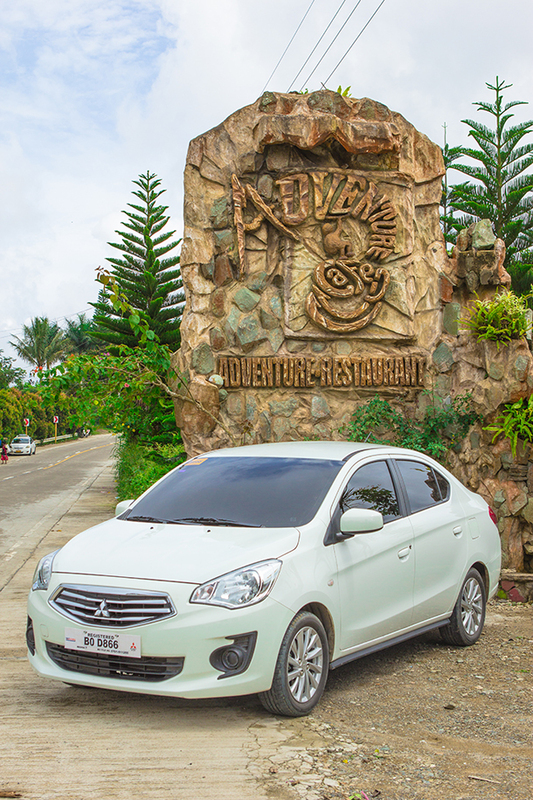 For this particular adventure we chose to ride the Mitsubishi Mirage. It was the perfect fit for the two (2) of us. We also chose to include a driver on our booking to eliminate the worry of driving and parking. I figured my husband needed some time-off from driving as he was my on-call driver everyday! LOL. Cebu had gloomy weather for the past couple of days before our scheduled trip. I was a bit anxious of not having the perfect weather as it will be a waste of time. We were set to explore the outdoors and it’ll be hard with rain pouring down. I was having second thoughts already and was thinking of cancelling if needed. The day of the road trip finally came and Mr. Sun was not really out but the weather was not altogether gloomy. Not really an ideal day for a road trip but I was still trying to be positive 😉 . Our ride arrived early and we set out at exactly 8am. I was pretty excited (though a bit anxious because of the weather) as it was our first time to rent a car and be chauffeured around. Well, of course, we had tried group and guided tours before. But, having our own private tour was similar yet completely different. We had the whole day allocated for our road trip. Our driver for the day, Chad, was courteous and very helpful. We were not rushed and we got to enjoy the places listed on our itinerary. We were never hurried which was a great thing as I’d like to linger and take as much photos as I can. Another plus points to FTC is that they give you the freedom to decide your itinerary and the time that you’ll be spending at a certain location. Of course, they will give you recommendations if asked. We, on the other hand, had our itinerary planned ahead. I was anticipating bad weather so I was very keen on ensuring that the places I wanted to see were covered. Our road trip covered a portion of Balamban, Cebu. Particularly the mountainous area of the municipality. 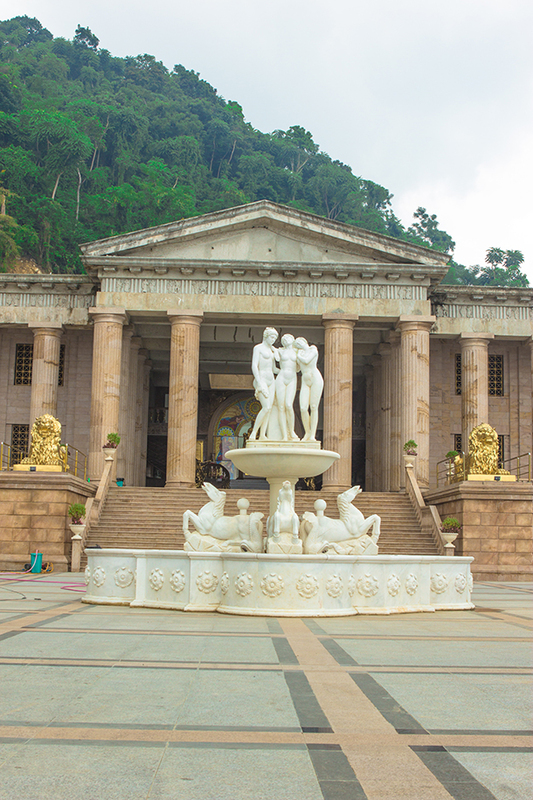 Mostly known as a Ship Building Capital in the province, Balamban has lately gained attention to tourists because of the several attractions being established. The Terraza de Flores is a new garden/ cafe in Busay, Cebu City. Technically, it’s not part of Balamban but we still decided to take a look. I’ve seen some amazing photos of the landscape and was pretty curious. The garden is enclosed with high walls so you’ll probably miss it if you don’t look properly. There were signs leading up to it, which helped a lot. We were met with the caretaker when we arrived. He guided us towards the parking lot and collected the entrance fee. Fee was about 100 Php (1.95 USD) each with the 40 Php (0.78 USD) consumable at the cafe/ restaurant. As the name implies, the garden is landscaped in small terraces. The Terrazas de Flores is a great place to chill out. You can choose either to spend it at the garden’s café where you can buy pastries, meals and refreshments, or have them in one of the cabanas. We decided to explore the area and stayed for an hour. As the clouds were coming in, we left Terrazas de Flores with a light rain. I wasn’t feeling a bit confident at this time, to be honest. But again, still hopeful! We have been to Sirao on one of our road trips before. 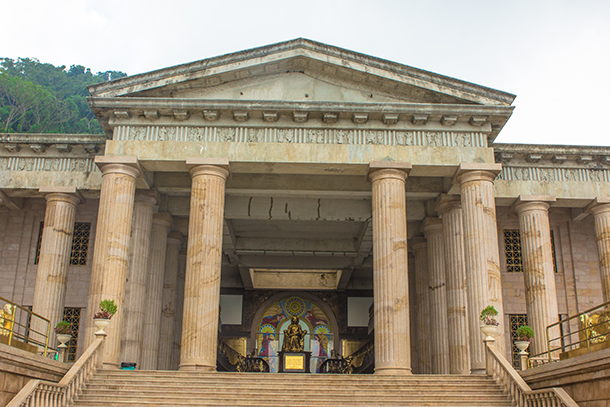 And like I’ve mentioned on my previous post, we were not able to visit the second one. This time around, we decided to take a look and explore. The second flower farm is also currently being landscaped. Nevertheless, as you can see on the photo, the view is equally as promising. 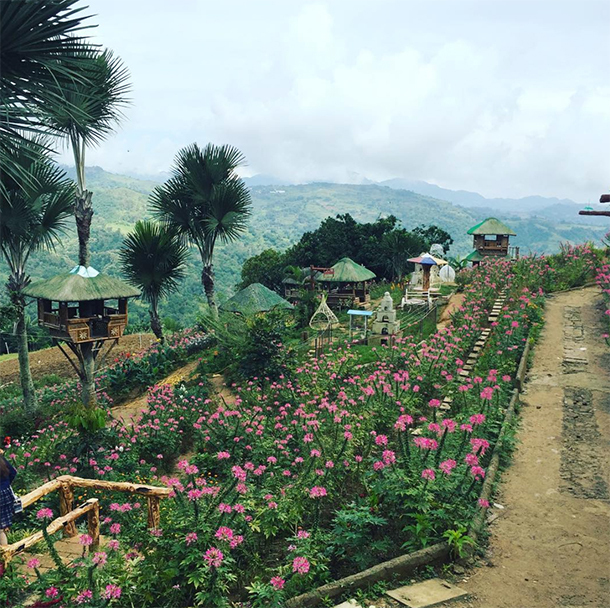 The owners have built some tree houses where guests can sit around and enjoy the views of the mountains and the flowers. There are certain spots that are great for photos, too! We explored further and got to see this field where the land is being cultivated. I can just imagine how this one will look in months! We paid 50 Php (0.97 USD) for the entrance fee and 20 Php (0.39 USD) for the parking fee. We stayed there for around 30-45 minutes. With the promise of sunlight, we headed to our next destination. We drove through a bit of a winding road around this area, so be prepared to avoid travel sickness! I was pretty excited to visit the Adventure Café, however, I did not know what to expect. The weather was still gloomy and the sun promised was still not that present. 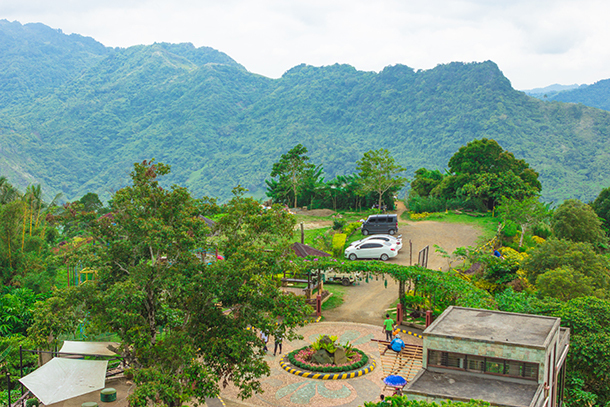 Adventure Café is a small yet comfortable cafe with great views of the mountain. Apart from the zipline, what particularly caught my attention was the stress wall. I think it’d be entertaining to smash all those plates on the wall. LOL. 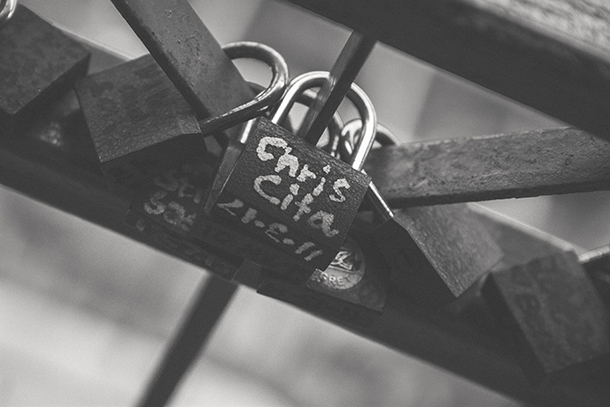 There were small padlocks on the railings of the cafe with names. It reminded me of the bells I saw at the Faber Peak with more or less the same purpose. After a couple of minutes, we decided to go ahead with our itinerary. Our next road trip stop was just a few meters away from the Café. 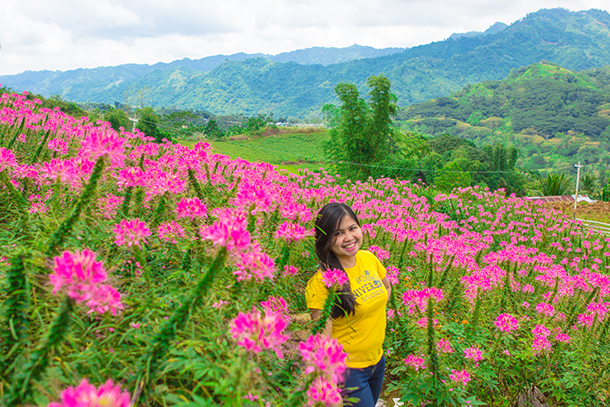 The Buwakaan ni Alejandra is gaining a lot of popularity in Cebu because of its gorgeous flowers. There is a fence that served as an enclosure. You wouldn’t be able to see it from the outside. We paid the entrance fee of 50 Php (0.97 USD) each. This colorful garden greeted us when we went inside. 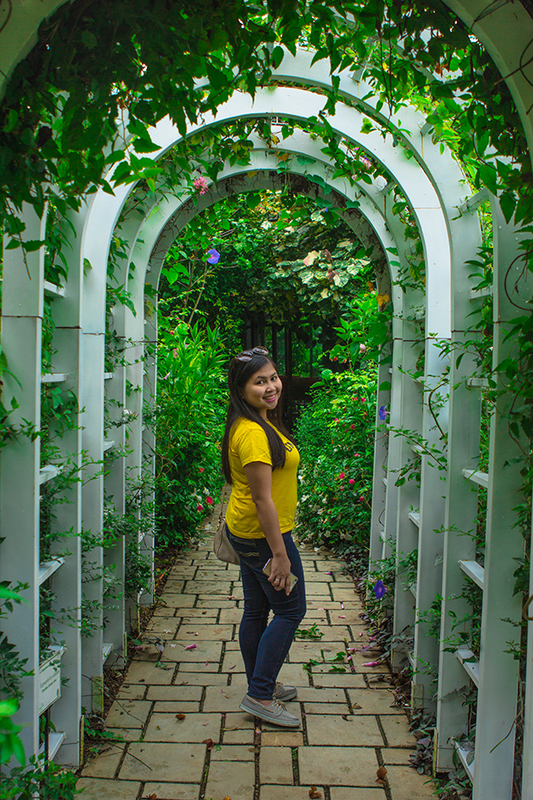 Despite being small in comparison to the Sirao Flower Farm, the garden is very instagrammable and holds such great promise. The caretakers told us that the owners were planning some expansion, so this will be even more gorgeous I’m sure! 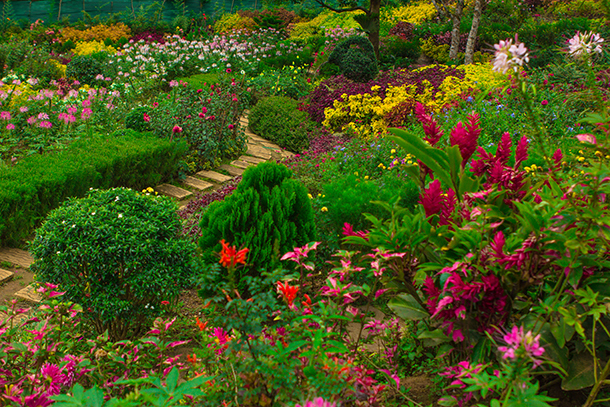 There are several variety of flowers in this garden, each as colorful as the next. We spent around 30-45 minutes here just taking in the view, and learning their names. It’s very instagrammable and photogenic! Surrounded by mountains and had my fill of awesome flowers, we headed to our fifth road trip stop: West 35. 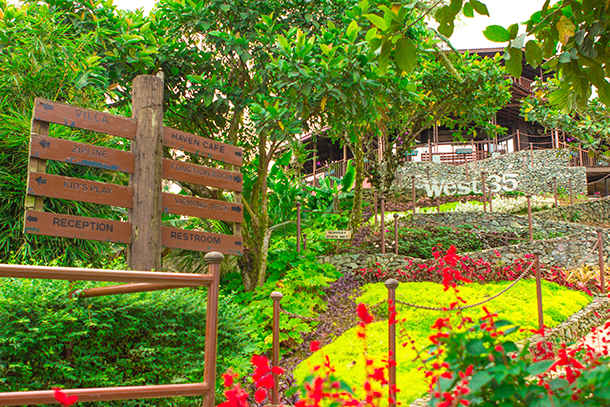 West 35 Eco Mountain Resort is a refreshing getaway from the city that has been on my radar for a while now. Aside from the accommodation, the resort also offers ziplining and treks to waterfalls. There is also a playground where you can let the kids (or maybe yourself) play around. 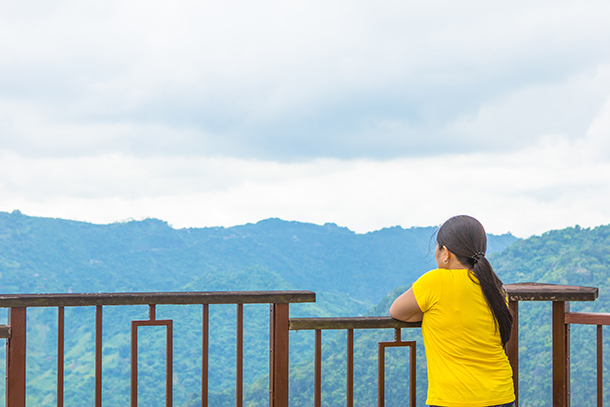 Not to mention an awesome café with gorgeous views of the Balamban Mountains. The surrounding is very peaceful and it makes you feel in touch with nature. It’s definitely one of the things I really missed when in the city. As the skies looked a bit gloomy again, we reluctantly headed back to the city. To cap off our road trip, we headed to the Temple of Leah. The road was muddy and uneven. A big thumbs up to Chad, however, because he was able to maneuver the car, and us, safely through it. But please, if you aren’t confident with your driving, it’d be better to wait until the road is completely cleared. Safety should always be a priority! We’ve visited the temple before, but I just couldn’t resist a quick look. We almost had the place all to ourselves as I know a lot of people would’ve been more cautious and hesitant to pass through the road. As always, the structure is as majestic as it is on any other day. I would’ve love to spend a good few hours here, but it started to rain. Like really hard. And so, we got back to the car and headed home. Despite the not so good weather, I must say I enjoyed the trip and was glad for a chance to unwind for a couple of hours. Everything went smoothly. It’s nice to be able to take a break from all the writing and be outdoors again! This road trip was indeed a great way to unwind. I’m sure a lot of you need time-out like we did. So give yourself a break and enjoy hassle-free road trips like this! Disclaimer: FTC was very accommodating and agreed to host us on this mini-adventure. But as usual, all opinions are my own. Balamban looks like such a delight! I definitely agree that sometimes being chauffeured is the way to go. I especially like the looks of Terrazas de Flores and Temple of Leah! Also, your pictures are beautiful! Always wantes to visit Cebu for its beaches. Now, I have another reason! Looks beautiful! Definitely smart to get a driver for a vacation like this. It takes out the stress! Wow I love the pics!! Such a beautiful place ..! The one of you in the middle of the flowers is so pretty! Cebul has been on my bucket list for far toooooo long to not tick it off. Maybe your pics are just the stimulation I need to book that flight! Balamban looks beautiful. I love the flower fields. It so rare these days to see outdoor growing fields in the modern era of greenhouses. It is so pretty to see the pinks stretch out the the horizon. So many beautiful flowers! Cebu looks like my kind of place. Lovely pics, thanks for sharing your trip. Wow, all six of those locations look absolutely stunning. I still haven’t made it to Cebu, despite all the urgings of my friends. I would love to take that zipline at Adventure Cafe, and that pizza looks delicious! Thanks for this post. I’ll definitely keep it in mind when I finally make it down there. Thank you Skye Class! You should listen to your friends. hehe. Cebu is awesome! Great road trip itinerary! I loved all the gardens and scenery you explored, and the Temple of Leah, too. I noticed all the prices you quoted for admission were quite low in USD — that makes for a very affordable vacation! And after just finishing an epic road trip through Canada, I can only imagine how nice it must have been to have a driver — was that terribly expensive? Thank you Tami 🙂 Well, the price is a bit higher than self-drive. Price started at around 3,800 Php (74.05 USD). Looks like you had a very nice road trip! Those gardens and flowers are so beautiful. Thanks for sharing! Thank you Piia.. It was indeed an amazing mini-adventure! Such a beautiful place. I love the colourful flowers especially. I would definitely not mind such a road trip! Looks like a load of fun! It’s great that you gave your hubby a break and had a driver. So nice that they allow you to have freedom with your itinerary, makes it so convenient. Would certainly look into this if we visited! A friend of mine recommended that I visit Temple of Leah. It seems like it is truly as beautiful as she had described it. 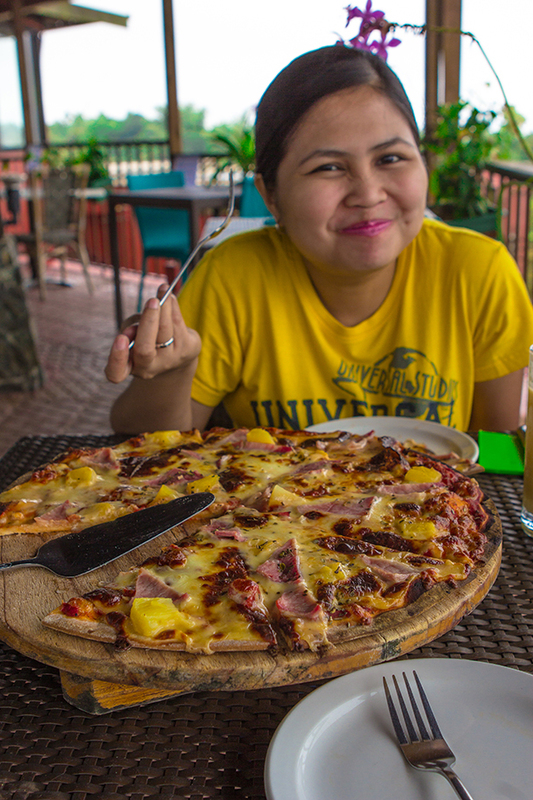 I need to visit Cebu again – there are so many that I’ve missed during my first time there. 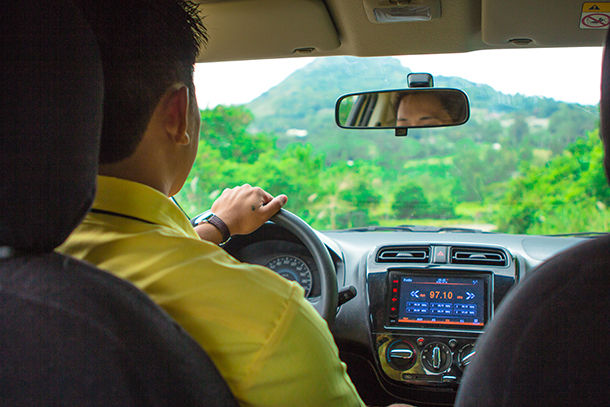 As there is so much to see on a Cebu road trip, I think it was a great plan to rent a driver with the car. I would love to explore the Terrazas de Flores and break a plate on the stress wall at Adventure Café. 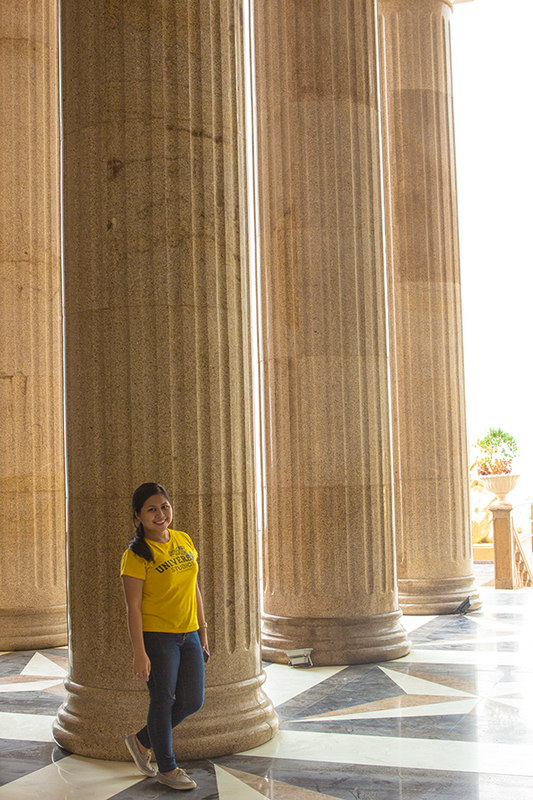 A quiet visit to the Temple of Leah seems like the perfect ending to your day. When I was in Cebu, I only explored Cebu City + Oslob, but it looks like I missed out on some awesome sites! 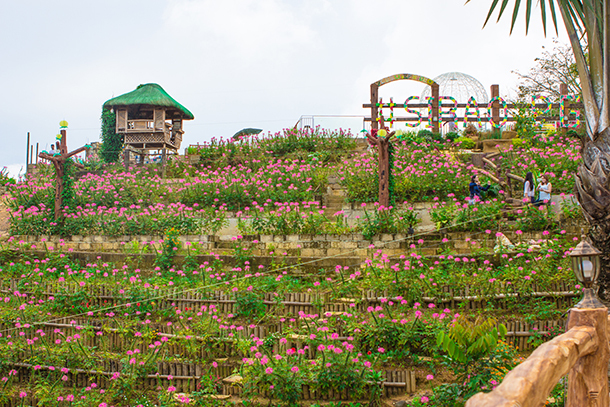 Sirao Flower Farm looks absolutely stunning! I would love to explore those grounds with those views. Amazing! Beautiful photos. Looks like a great place. I never knew gas went so quickly in an elevated area. Very cool trip. I didn’t know either, until our previous trip. We were wondering too.. Seeing your pictures alone, I have made up my mind to take this road trip once in Cebu. The places are so colorful and they are giving a magical feel. Eco mountain resort too seems like an apt place to stay. Loved it. Thank you, Suruchi.. I’m sure you’ll love West 35.. 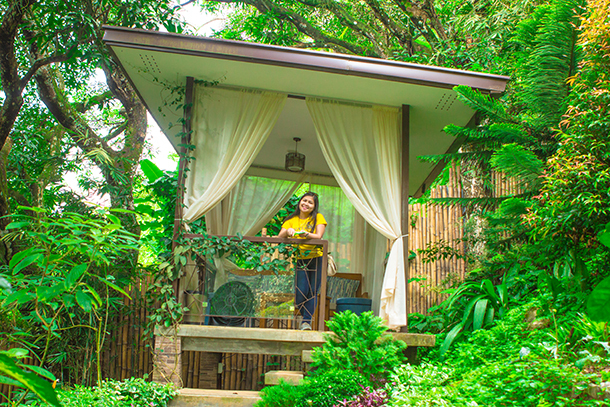 The fresh air and the peaceful views are more than enough for a relaxing getaway! 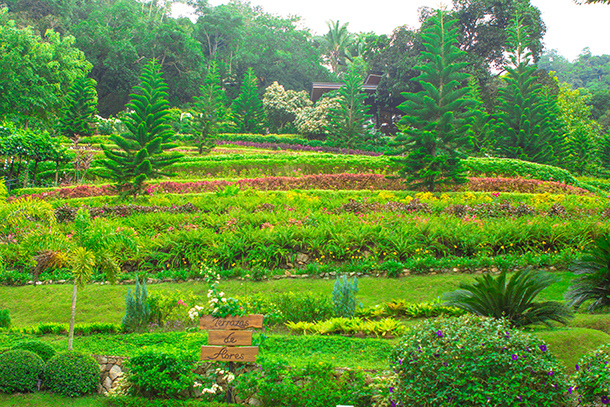 Wow.. Cebu looks fantastic and full of colour, those gardens are very nice. 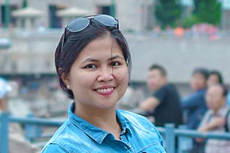 I have always longed to visit the Philippines and especially the Cebu area as I have heard so much good about the area. Judging by your post and pics, I should get there real soon. Wow! What a beautiful area. The amount of flora in that area is incredible. The colors that are presented are definitely instagramable. 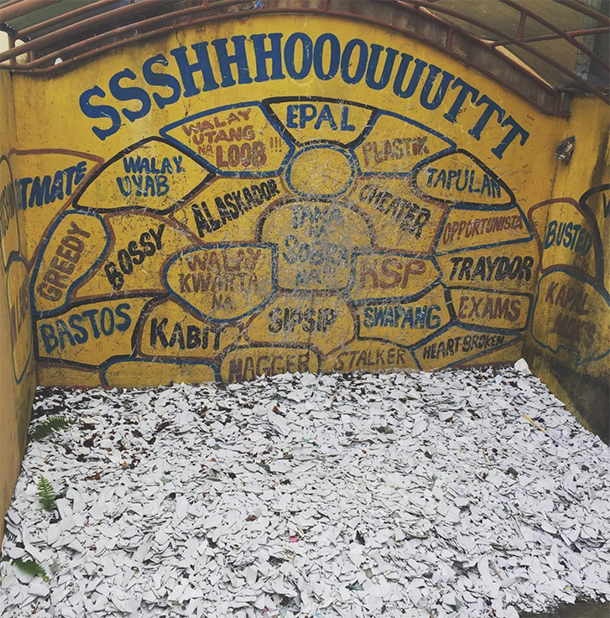 I too like the idea of the stress wall, oh what a relief it would be to smash a plate. The views in the area were very nice. I could sit in most of those places all day and ponder the world. It looks you have had a great travel day. 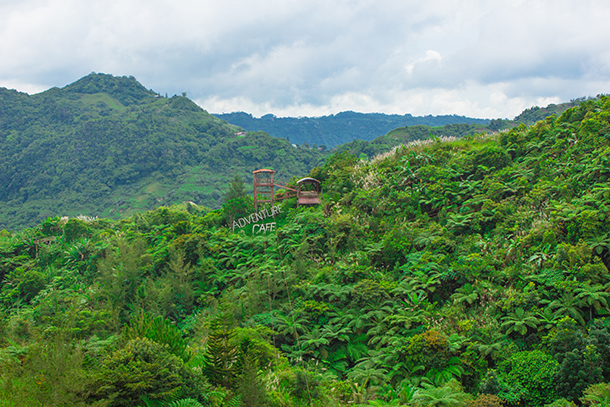 Balamban seems like a place worth exploring. 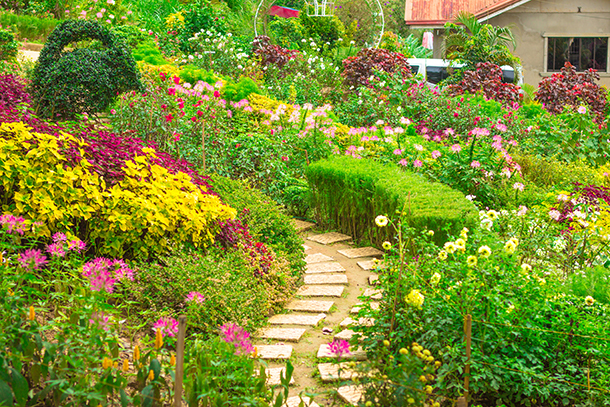 Awesome gardens and beautiful flowers. I am impressed about Temple of Leah. It seems more like a place in Italy. Why is the road bad to so awesome place? Thanks for sharing. What a wonderful road trip! 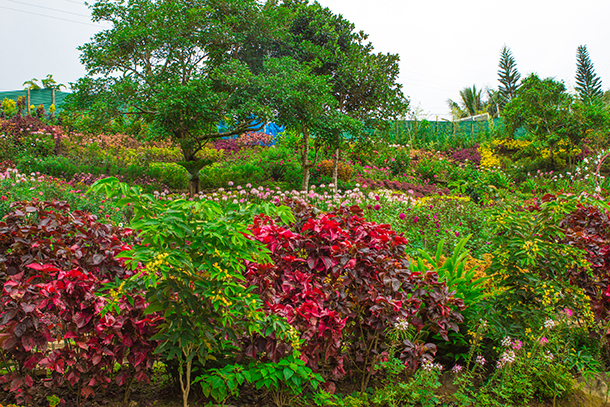 The gardens look like a mini paradise with its gorgeous flowers and landscapes. I would love to visit the Adventure cafe, the stress wall sounds interesting hahaha. The Temple of Leah is another place I would add to my list, looks stunning! I agree with on how amazing it is to take a break and go on a short road trip. Car rental services are a boon, esp for those who live in a place temporarily and can’t own a vehicle for that period. I’ve taken a few when I was in London and its so much comfort than public transport.